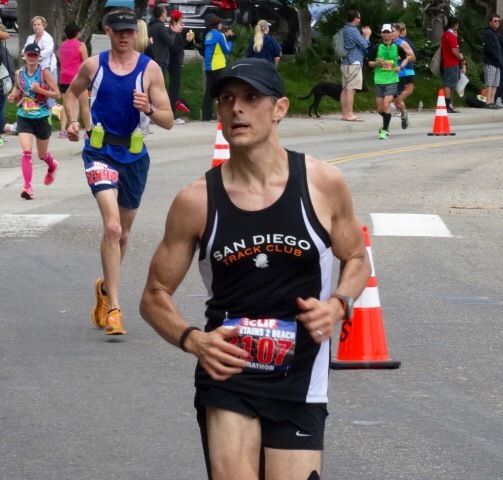 I was referred to Coach Toya Reavis by my Active Release Therapy provider, Jonathan Pierce, with the short term goal of running the AFC Half Marathon in under 2-hours, and the long term goal of running a Boston Qualifying marathon time. I was able to accomplish both of those goals in less than two years with Coach Toya’s training. Coach Toya is an experienced coach who is dedicated to her athletes and the achievement of their desired results. Her coaching philosophy emphasizes the importance of core exercises, strength training, rest and nutrition, in addition to the running workouts. Her advice has helped lead me to achieve personal best after personal best. I am proud to say that I will be toeing the start line in the 2018 Boston Marathon. 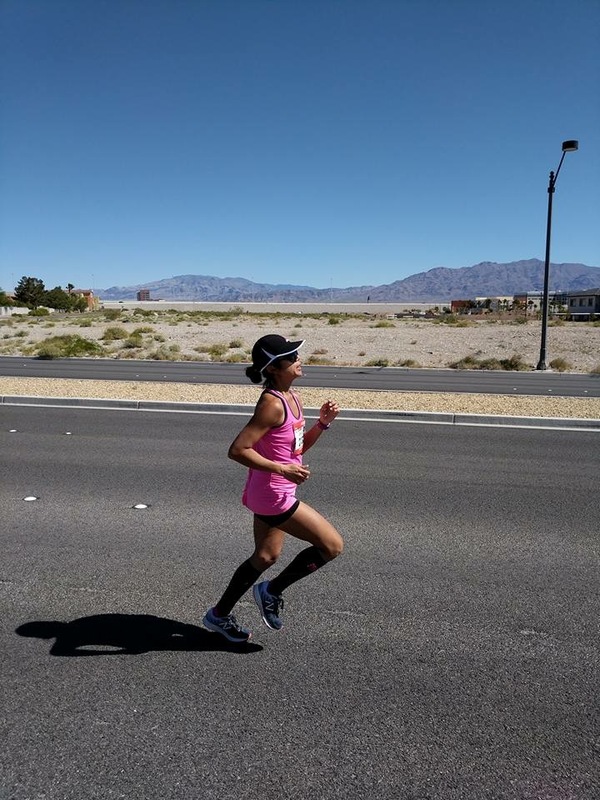 I am extremely grateful to Coach Toya for helping me train up to a fitness level to get me there and I highly recommend her training to any runner who needs guidance in improving. Toya has been a great coach! She has taken the time to get to know me and my running style. Her 1 on 1 time during her organized training runs is irreplaceable. The time I have spent with Toya has allowed me to dramatically improve my race times at every distance and most recently; almost 2 years to the day from my first marathon I achieved the Boston Qualifier I’ve been hoping for running a 3:09 at the 2016 Mountains 2 Beach Marathon! Through this and with her wisdom I’ve learned to have the discipline to balance my lifestyle and eating habits when in peak training cycles. Training with Toya can be tough but with discipline you will achieve realistic goals and get the results you are looking for. Chris Wenger after one of his successful races! In the past 1 1/2 years that I have been with Coach Toya Reavis and Team Toya, she has totally transformed me as a runner. I never thought I could ever run a mile under nine minutes. Under her guidance, I succeeded in running a seven minute mile! 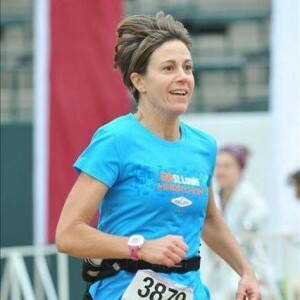 Coach Toya has a vast wealth of knowledge about endurance athletics, and what it takes to become a strong runner—everything from proper warm-up drills and stretching, to optimal nutrition and effective cross-training. In other words, everything that is important and essential about being a strong runner. As an example, Coach Toya taught me how to do the safest and most effective warm-up routines. This has proven invaluable in my attempt to increase my speed and strength. But beyond the techniques and the knowledge of running mechanics, Toya possesses something even more valuable. She knows how to motivate and to bring out the inner athlete in us. She is incredibly attentive to the progress we are making. She follows us at our races. She encourages us to keep running even when we think we can’t, and she treats us as if we were world class elite athletes. 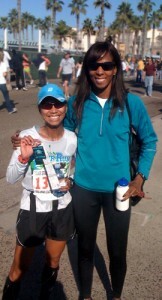 I am so grateful to Toya for all she has done for me as a runner. 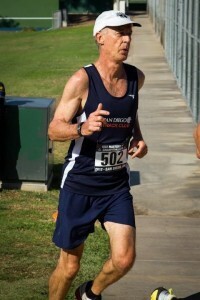 I was plodding along with the slowest group of runners at the San Diego Track Club. Try as I might, I couldn’t get past about an 11 minute/mile pace on longer runs. I began working with Toya in December 2014, and within a few weeks, I found my run times for the 6-10 mile distances were coming down. I set a personal record at the Ojai Marathon, besting my previous (2013) performance by 21 minutes. 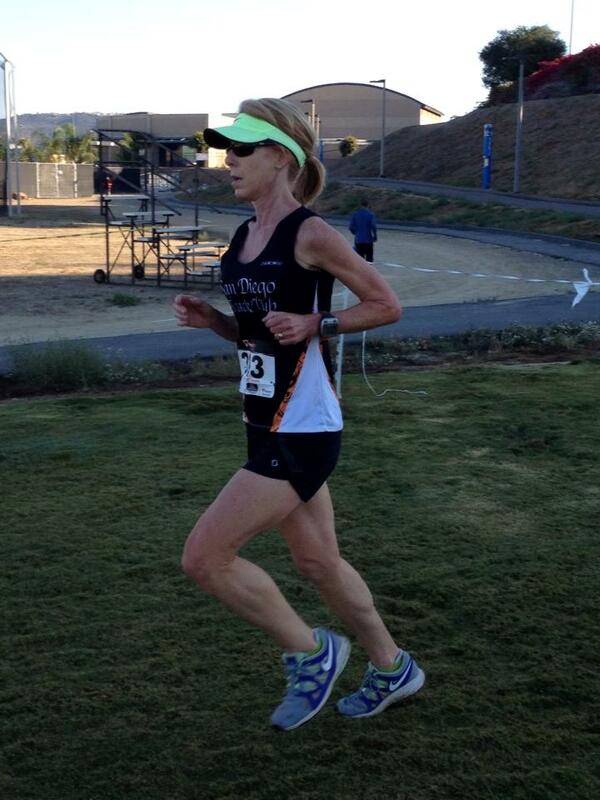 Toya’s coaching is designed to help runners get the best out of the effort we invest in training. Without realizing it, I soon became faster, and healthier. I made it through an entire training and running season without injury. 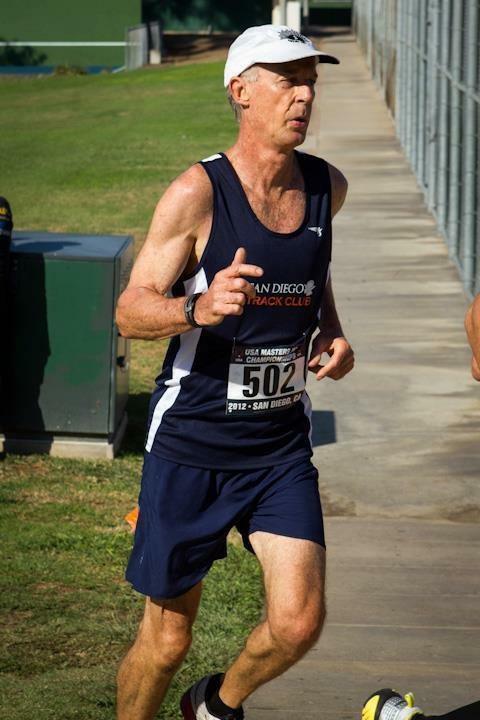 Mike Wood looking strong in Ventura in 2015! 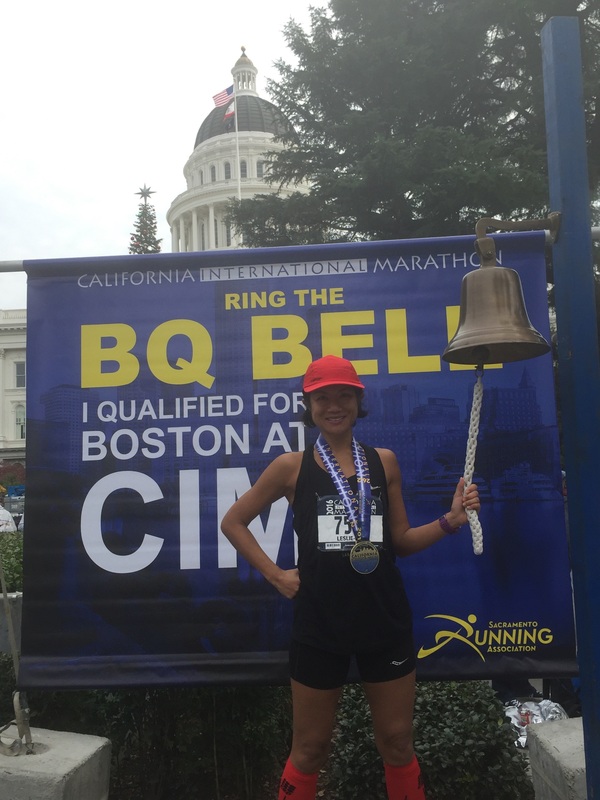 I had run marathons before, but I didn’t know how to train for a specific goal, and I wanted to break the 4-hour mark and qualify for Boston. I followed the successes of Team Toya from afar (I live in Saint Louis, MO) and was impressed with Toya’s knowledge, level of support and results! I was confident that she could help me reach my goal. As a remote athlete, Toya not only wrote my training plans, but she also advised me on nutrition, stretching and strength training to ensure that I made my goal and remained healthy. She pushed me to work hard, encouraged me and genuinely delighted in my success. Toya was so invested, I sometimes think that our geographic distance was harder for her than for me. 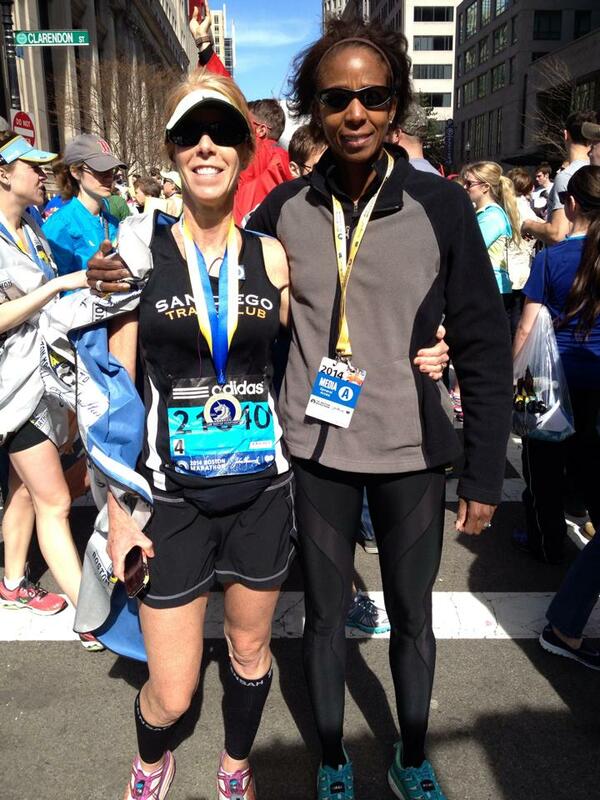 Thanks to Toya, I surpassed my goal and will be running in Boston in 2016. I learned a lot from her and will carry that knowledge with me in future training. I also hope to work with her again as I set new running goals. I highly recommend Coach Toya to any runner ready to train hard and see results! 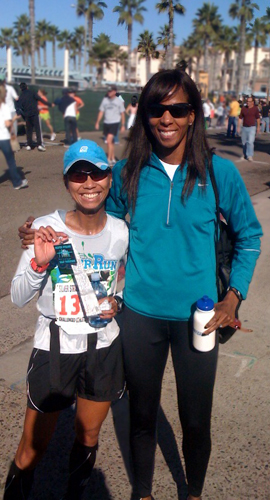 When I came to Coach Toya in September of 2013, I had one goal–to complete a marathon. I had tried, but failed, twice before–missing both marathons because of injuries. One of the most horrible feelings is showing up to an expo to pick up a race bib you know you won’t be wearing. And I did it twice. At one point, I convinced myself that running a marathon just wasn’t in the cards for me; that there was something about my body that wouldn’t let me run beyond 16 or 17 miles. I’m glad Coach Toya proved to me otherwise. 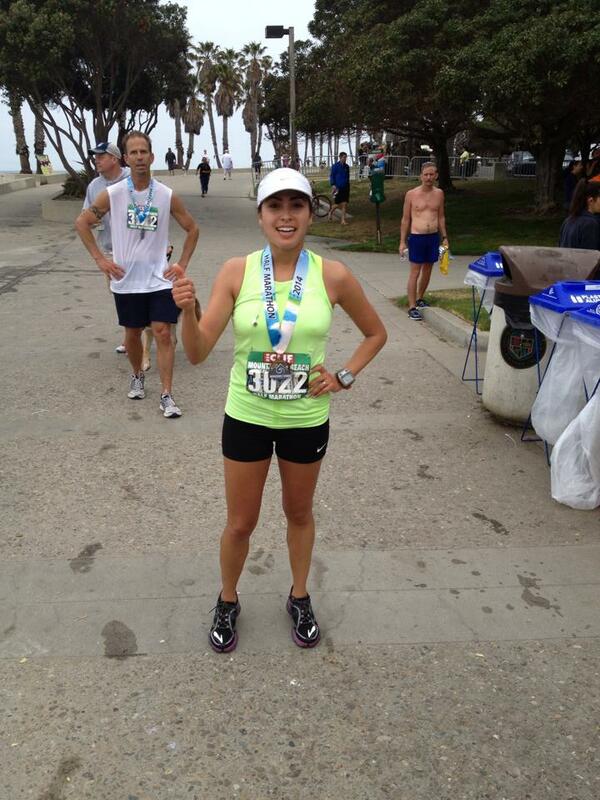 In May 2014, I completed my first marathon (and with a respectable 3:29:56 debut). The difference was having the personal attention of a well-educated, well-connected, and well-invested coach. Without that, I’m sure I would have missed this marathon, too. But every time my body would begin to break down like it always had before, she knew exactly how to tailor my workout to keep me healthy and on my feet. She also knows a ton of elite runners, coaches, massage therapists, and ART specialists. So when injuries began to pop up, she put me in contact with fantastic people who regularly work on Olympians and Ironmen, and they helped keep me on track. These are people I wouldn’t have met if not for being on Team Toya. When you join Team Toya you also get an invested coach. Before any training had begun, she met with me to do a maximum heart rate test, and she even visited my gym with me to help structure an appropriate strength training routine. During training, she also evaluated my nutrition and gave me advice that I used to get the leanest I’ve ever been. She was also always so uplifting and encouraging. 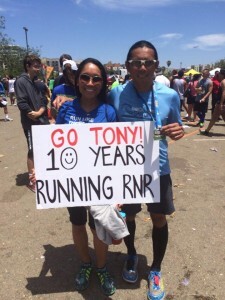 There were lots of times when I thought I couldn’t do it, or was convinced I was going to get injured and miss another marathon–again–but she was there to keep me positive and focused on things I could do to stay the course. She even traveled up to Ventura to see me and other Team Toya members run our race. 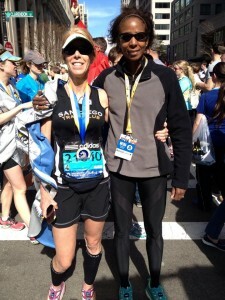 She ran with me at Mile 23 to cheer me on, and she was there to congratulate me when I crossed the finish line. So if you have a goal, and want a coach who will literally–from start to finish–see you through to that goal, I highly recommend you contact Coach Toya. She knows her stuff. She has the resources to help you succeed. And she genuinely cares about seeing you do just that. Toya has a great wealth of knowledge when it comes to running and she has definitely used that wealth of knowledge with every single runner she trains. Toya set out a training plan that was specifically designed for my needs and goals. I started the training hoping to get just a little faster and ended up shaving off ten minutes off my half marathon PR. I far exceeded my goal and ran a half marathon in 1:34. I would have never thought my body was capable of running that fast. This was all possible with the five months of intense training with Toya. (And not to mention the eating plan that Toya put together for me because she knows how much I love sugar.) Toya certainly went far and beyond to make sure I met my goals. It was tough but very rewarding. I can’t wait to see what the future holds… Hoping for many more PRs with the help of my awesome coach Toya!! I just wanted to say thank you for all your hard work these past five months in helping me to live past mediocrity and reach my full potential both as an athlete and as a person. I knew full well what I was committing to when we first started in July. I just didn’t know how much fun it would be. Thank you for your commitment and dedication in helping to meet both of our goals. You’ve taught me to relax, hold back, and enjoy each moment I get to run. You are such a wealth of information, and you enjoy helping others – I can see the joy whenever you’re out there coaching. It seems you are in your element, and you just love what you do. You have a great talent, and I am proud to have you as my coach. So, regardless of how I do, I’ve already won. I’ve had the most exciting five months, and the best is yet to come. 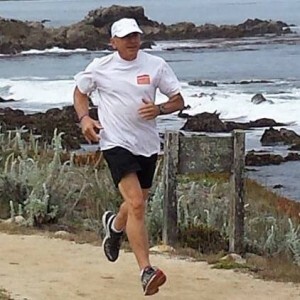 I wanted to thank you for you help in training for my marathon. When I started training with you in July, I came with a goal to improve my marathon time by 9 minutes from my personal record all within three months. 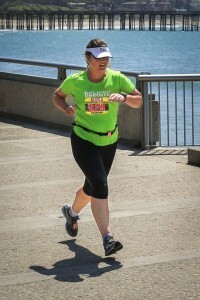 You listened to my goals and helped set a plan to get there both with my running and my nutrition. With your support, training program, and friendship I was able to beat my goal by 5 minutes. 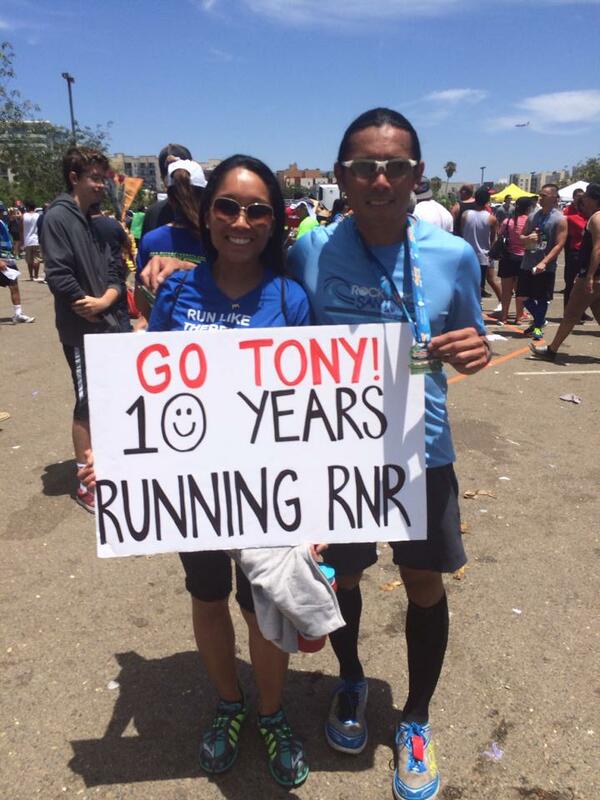 Your dedication to the sport and to other runners is an inspiration. You provided me the tools and your belief in me made the difference in my meeting my goals. Thank you for your guidance and dedication to helping me not only meet but exceed my goals. I look forward to our continued working together to meet new goals. Coach Toya has made a huge difference in my running. Before working with Toya I was the average long distance runner. I put in all the miles, and I thought I was putting in all my effort. But Toya challenged me to work harder. She helped me learn how to push through the discomfort and now I am faster than I ever thought I could be. Her expertise in the sport and her coaching skills helped me take almost 30 minutes off my marathon PR and 15 minutes off my half marathon PR, and 7 minutes off my 5K PR. I am stronger, leaner, and faster thanks to working with Toya. And now I am also a Boston Marathon qualifier! When I joined the ranks of Toya Reavis Fitness fans, we talked about my need for motivation, with you encouraging me to run faster, especially when I did not want to, or even feel like I could run faster. Your patience, quality program development, along with quiet encouragement (and some not so quiet encouragement) has truly helped me change and improve my ability to run faster as well as run farther than I have been willing and able to do for several years. 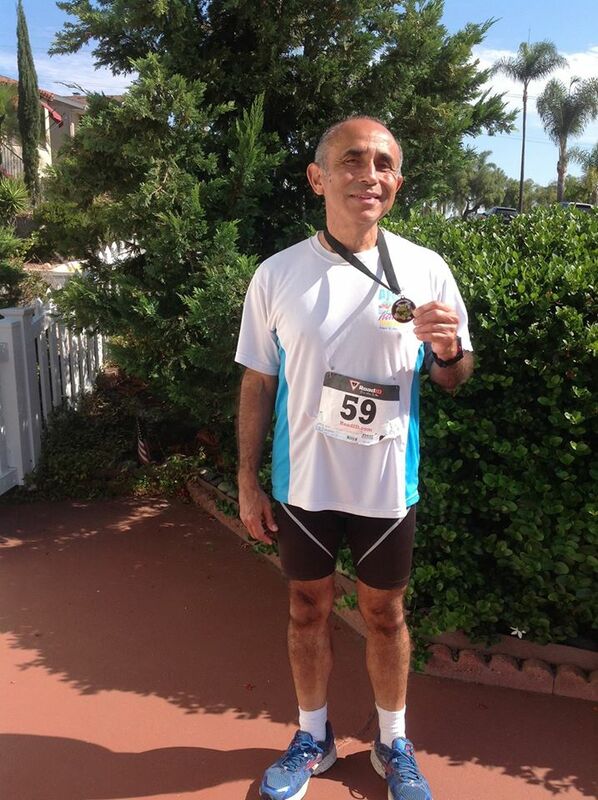 Before we met, I had completed two half-marathons and two full marathons in 2013. 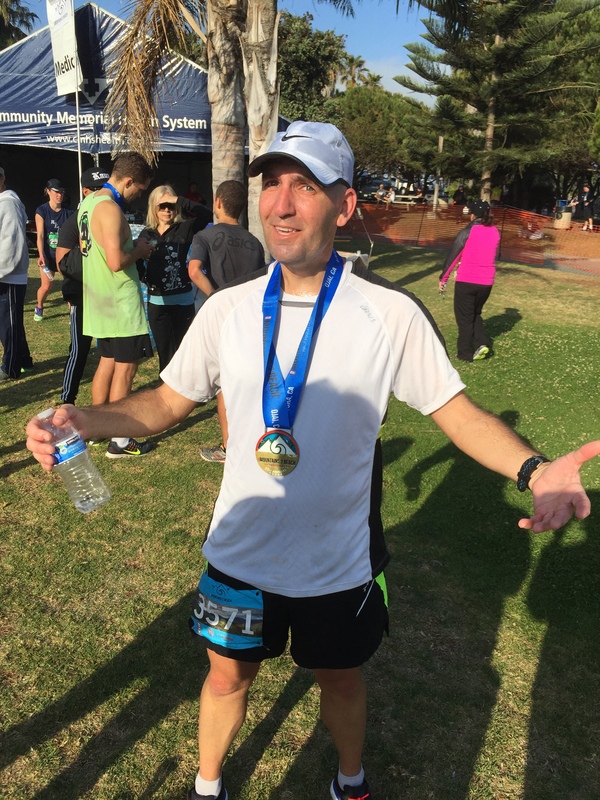 After training with you for two months, I ran my fastest half marathon of the year (also the most challenging) and shaved three minutes off my prior half-marathon times this year. After four months of training with Toya Reavis Fitness, I ran my fastest full marathon of the year taking ten minutes off my prior best time this year. Continuing training, schedule conflicts being what they are, I have been working with the guidelines set up for me. This resulted in my recent workout of six miles followed by an organized 5K race where I finished 2nd in my age category, something unimagined in my experience. These results speak for themselves and speak volumes for the training I received with Toya Reavis Fitness. Thank you Toya! I can’t imagine anyone more qualified to be a ‘Running Coach’ than Toya! Her background as a runner, dedication to the sport, and boundless enthusiasm will take your training to a new uniquely powerful ‘athletic’ level! What qualities do you look for in a coach? For me, I look for someone who is very knowledgeable in their field, gets results, listens to my needs and has a clear direction to help me accomplish my goals. Toya definitely met all of my criteria! I have seen how she has successfully transformed other athletes and helped them accomplish their goals. I didn’t just read other people’s testimonials regarding Toya’s training, I saw their transformations and that was my main motivation to sign up with her. With limited hours of free time to work out, I am all about working out smarter rather than harder. Toya understands this and is not one to waste my time either. One main thing to remember, especially if you’re already a runner: Change is good, embrace change! Toya’s training is not like stuff you can just google on the internet or a cookie cutter program, it’s catered TO YOU, FOR YOU. With that in mind, at some point early on in your training, you’ll probably want to revert to your old ways and question Toya’s training methods, which I did myself. But after my first official race under Toya’s direction, and a few months of training, I realized there is a method to her somewhat ‘madness’. I no longer question her or want to revert back to my old running habits. She sees the potential in me as a runner that I didn’t realize I had and I am grateful for that. What I like most about her training style is that she keeps it simple. Do NOT confuse that with ‘easy’. So if you’re looking for a great coach, look for Toya. If you’re ready for change, sign up with Toya. If you want to see results, sign up with Toya! 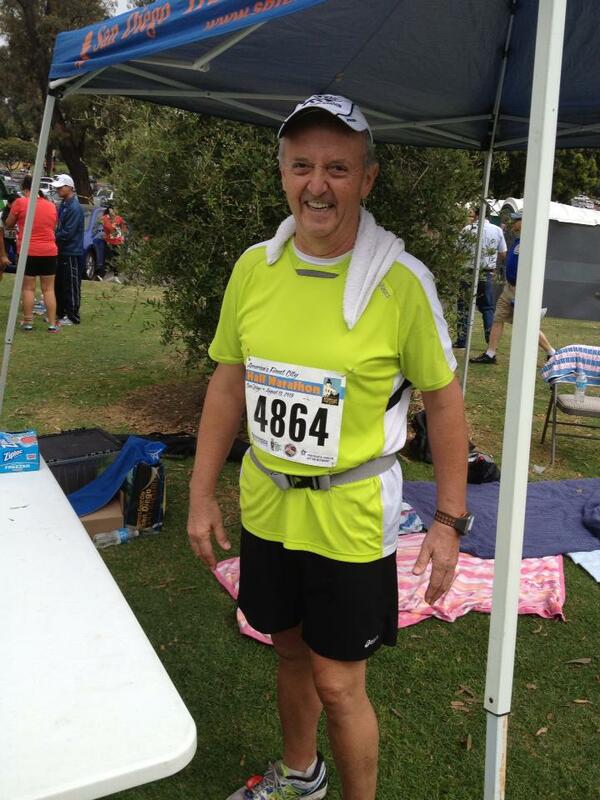 Don’t just take my word for it, check out my race results. Toya Reavis is an outstanding running coach. I hired her to work with my daughter, Laura, on her speed and agility for soccer. Over the course of several months, I watched as Laura became faster, quicker and more confident in her play. Toya laid out a workout plan that was perfect for my daughter, helping her constantly challenge herself while at the same time, Toya’s cheerfulness and friendly personality kept Laura engaged and eager to continue the sessions. My daughter eagerly looked forward to running with Toya each week and made sure to have her schoolwork and other responsibilities covered so she never missed an appointment. Physically pushing yourself to excel isn’t easy, but Toya made it fun for my daughter. Working with Toya paid off, both in sports and in learning how to work hard in life.